Having a passion for your business is great but bookkeeping and accounting rarely generates the same enthusiasm. Too often the bookkeeping is a task that is neglected causing the business owner unnecessary stress and costs. By delegating your Bookkeeping, Accounting, and Taxation Lodgements to Beck Partners you will have less stress and additional time to focus your energy on the things you would rather be doing. Beck Partners are experts at keeping business records organised so that your obligations are met on time and you have access to accurate financial records for improved business decision making. Accurate financial records are the cornerstone of a successful business however; keeping business records has traditionally been boring and time consuming. The good news is that we have modern solutions that can help you. Contact Alan Beck directly on 0419 671 602 to discuss your requirements and how Beck Partners can assist your business to achieve its full potential. 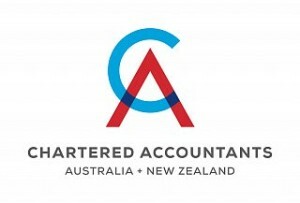 You didn’t go into business because you are great at Accounting and Taxation – but we did! The Australian accounting and taxation laws are complex and Beck Partners will guide you to the best outcomes keeping the big picture in mind. We understand that dealing with taxation and compliance matters is not something you enjoy so we make it as easy as possible for you. We take the time to get to know you and understand your business. Our objective is not just filing in the annual paperwork; we will proactively help you to achieve your business and personal financial goals.